Wipe Test Kits may be used to perform wipe tests as indicated in NRC and Agreement State Regulations. They provide an efficient, convenient means of sampling contaminated areas with radioactivity on either wet or dry surfaces. 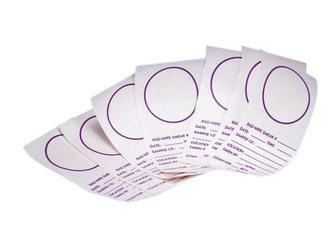 Wipes are 1.75" D. cloth discs packaged in a box of five hundred.